I'm looking forward to more of this kind of camping. 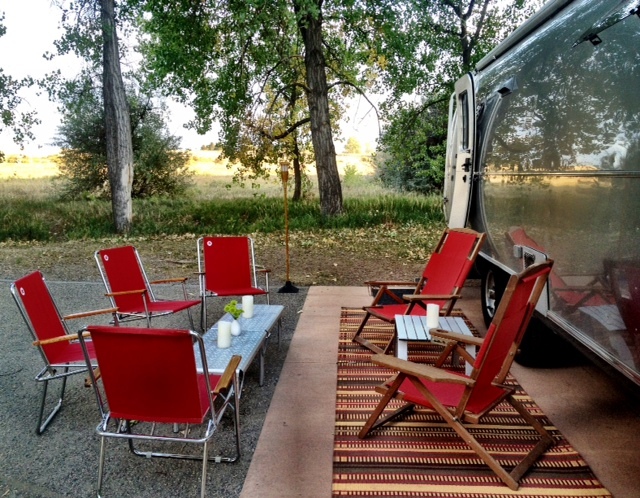 The kind where you meet up with good friends and hang out making food and building fires and drinking wine, generally creating a huge mess in the tiny Airstream kitchen by the end of the night. There's nothing better. Next week we'll head out for a week in the Columbia River Gorge. We'll be meeting up with friends from Holland (I'm taking them Airstreaming! ), then some local friends, and then we'll head West to Pasco, Washington for the Sacajawea Bluegrass Festival where we'll meet up with more local friends (and hopefully meet some new). After the Airstream rally at the bluegrass festival, our plan is to drive West and explore some areas we haven't explored on our own, before docking in Seattle with some friends for a few days to attend the Proof Distiller's Festival.